The Walk for WisdomSM is a global education and service initiative that supports education and literacy. 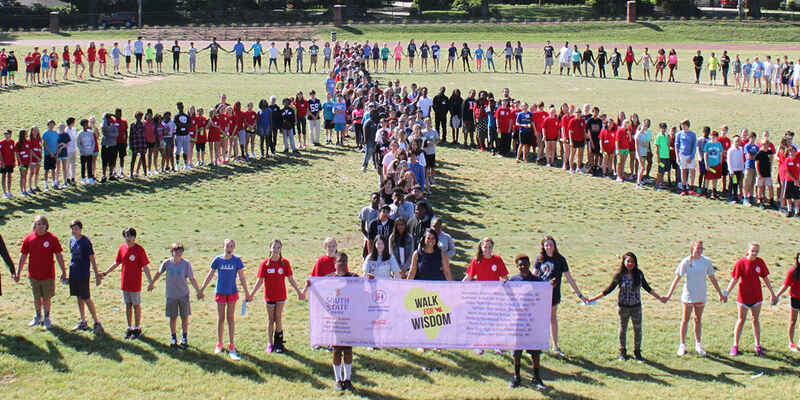 The Walk for WisdomSM was started in 2014 by students at Myers Park High School in Charlotte, North Carolina, and has since grown into a nation-wide initiative to benefit vulnerable children in some of the world's most remote and impoverished locations. As part of the Walk for Wisdom, students and school communities learn about the history of South Sudan—the world's newest and most fragile country—and the pressing need for education and peace there. Thank you for supporting the Walk for WisdomSM, young people and school communities working to make a difference through global education and service. When donating, use the name of your school in the "Please Acknowledge Me As:" line. Helping children around the world- every little bit helps. Thank you Anthony for caring enough to ask for this wonderful cause.